In an age when partisan politics has reached a deafening--and arguably impotent--pitch, how does the real work of politics get done? 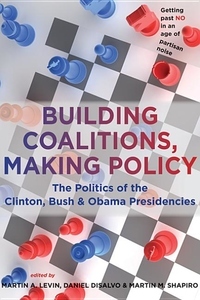 This book opens the door on backroom politics and gives readers an insider's perspective on the efforts of policymakers from three presidential administrations to get past the naysayers and effect real and lasting policy changes. Covering all major areas of policymaking, Building Coalitions, Making Policy gives instructors in political science, public administration and policy, American government, and American presidential studies plenty of provocative examples for classroom debate.